The Twistfix selection of special offers for June 2013 is proving incredibly popular and there is still time to take advantage of these fantastic discounts. Amongst the most popular products in the dedicated 'Special Offers' section of our extensive website this month are our complete range of DPC Injection Kits; our offer on these products is timed to coincide with the onset of summer, during which time the warmer weather dries out the ground around footings and reduces the incidence of rising damp. The dryness means that this time of year is ideal for treating damp walls, allowing any moisture plenty of time to evaporate before the next wet season begins. The best selling Twistfix DIY damp proofing kit contains everything required to create an effective, professional damp proof course in traditional brick walls. 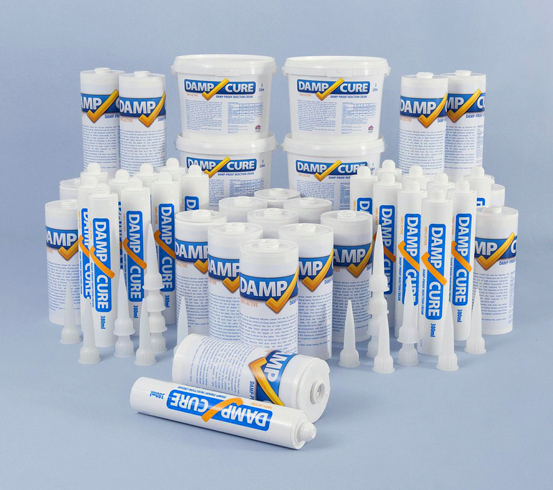 A powerful rising damp treatment, the 100% active DPC cream is formulated through emulsi­fica­tion and without the addition of thickening agents, meaning it can migrate rapidly and completely into the pores of damp walls. This forms the strong chemical damp proof course which will quickly halt the process of rising damp. 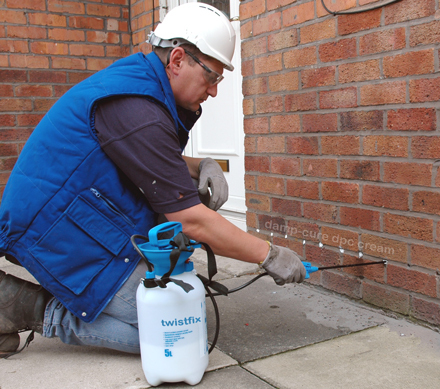 Application of the new chemical damp proof course is simple enough for a DIY-enthusiast to achieve yet powerful enough for professional trade use. After drilling 12mm holes at 100mm-120mm centres 90% through walls along the chosen bed joint, cream is injected to fill each hole to within just 1cm of the wall surface. The cream is left to diffuse then cure, forming the chemical damp proof course which is then made good using sand and cement. This can be done while the cream is still in the hole or, if filling after diffusion, with the use of mastic. The cream can be injected from the side that is most-easily accessed though, when treating cavity walls, outer and inner wall surfaces should be separately treated. Any damp plaster should be renewed to complete this powerful and effective rising damp treatment. 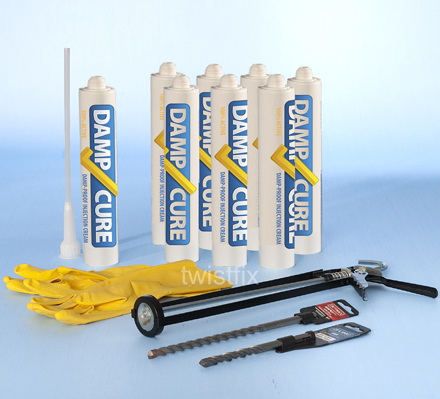 Twistfix supplies a selection of damp treatments in injection kits of all sizes. The kits have varying amounts of damp proof cream, a choice of applicators and professional tungsten carbide-tipped SDS drill-bits of differing sizes. 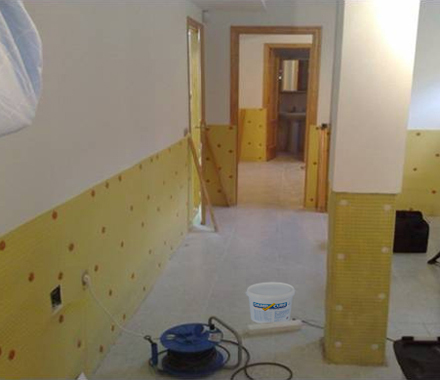 We even have one kit where the cream is supplemented by a roll of air-gap damp proofing membrane to permit rapid reinstatement of plaster and decorations after a new damp course has been injected. Until the end of July 2013, all the kits feature an attractive 15% discount on an already-competitive price. Please enjoy browsing this month's selection of special offers from Twistfix and do not hesitate to contact our dedicated team for further information. You can call us on 0845 123 6006 or email us at sales@twistfix.co.uk.